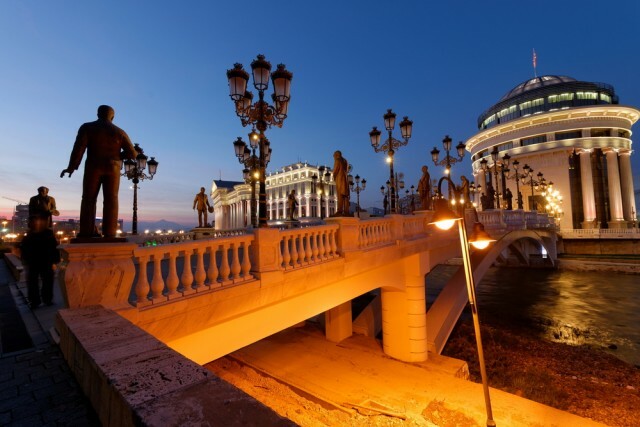 The Republic of Macedonia, a landlocked country in the Balkans, is sometimes forgotten in favor of its more famous neighbors like Greece or Bulgaria. This little country is, in fact, the very best of the Balkans rolled into one patch of mountains, lakes and hills shared among native Macedonians, Albanian Muslims and other Balkanic people. Macedonia is the Eastern European cocktail that can guarantee you an exciting and unforgettable holiday, especially if you skip the luxury travel options and do things the old-fashioned way: backpacking. 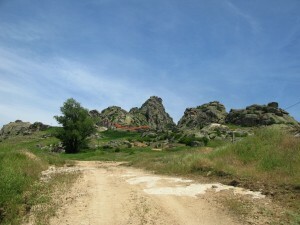 Macedonia is the perfect destination for backpackers – it is affordable, friendly and beautiful. So here’s a short backpacker’s guide to Macedonia. Unless you are planning on staying in one place, you should get used to the idea of being on the road for some long (but not necessarily boring) hours. Everything in Macedonia is well spread out, and there are things to see in practically every corner of the country. Buses are usually the cheapest options, but in summer they tend to be very crowded and hot, so you would be better off taking the train. The national train service is rather slow, that’s true, but coaches are more comfortable than buses, and you get to see some pretty amazing views too (not to mention the opportunity to get acquainted with some locals). Unfortunately, one of the country’s most beautiful cities, Ohrid, doesn’t is not connected to the railway, so you can either take the bus or rely on hitchhiking, which can be fast, but not for free (in Eastern Europe, you are in general expected to pay for your hitchhike). Tourist attractions like Ohrid have ridiculously high hotel rates, and other major cities are not far behind. There are some hostels available, but the but value for money is private accommodation. You can find lists of lodgings at tourist information centers or at travel agencies, and a room for a night should not cost you more than 10-15 euro. Check out European hostel listings for comprehensive lists of Macedonian hotels and their rates. Food and drinks in Macedonia are cheap by Western standards, but there are more than enough tourist traps too that will charge you more than your meal’s worth. Avoid the fancy waterfront restaurants in Skopje for example, because they cater mostly to tourists. If you’re down on your budget, try a skara place, where you can find a variety of grilled meats and vegetables (you’ll have to pay separately for the side dishes, usually). 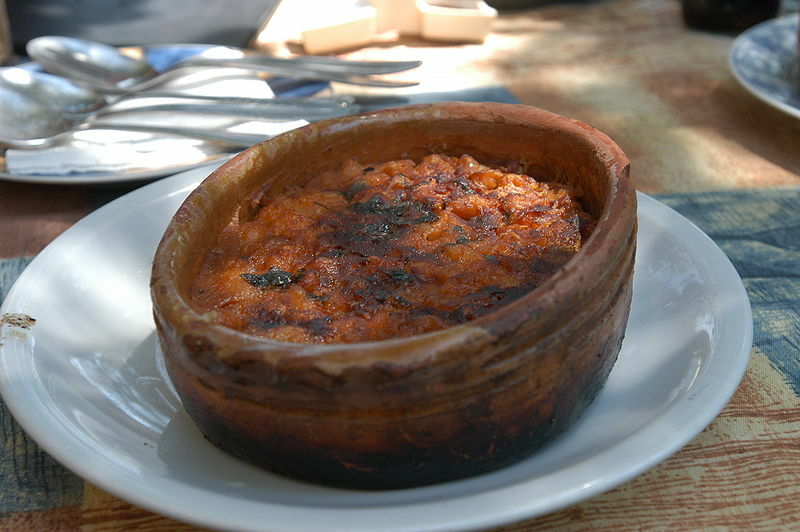 Although you can get virtually any type of cuisine in Macedonia, taste the traditional food – it is representative for the Balkans.